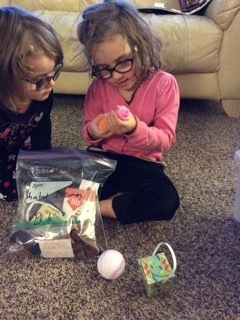 “We want to thank you, Michelle and Stephanie! 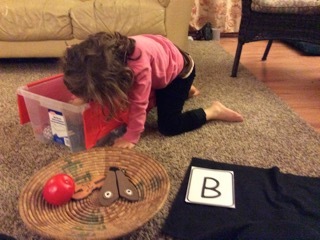 LETTERS© has been a brilliantly put together multisensory curriculum tool! 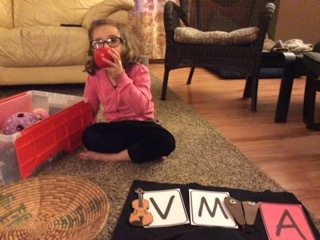 Our two youngest girls, being visually impaired, have had incredible success learning their alphabet sounds and recognizing the letters while having fun through touching, matching, tracing, building, and saying their alphabet names and sounds. 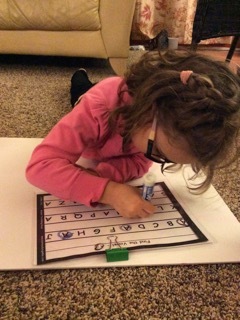 The LETTERS© Discovery Kits have made their letter recognition a meaningful way to connect and understand the foundation of language and how to begin to read and build words whether on paper with pencil, dry erase, or with the letter pieces. 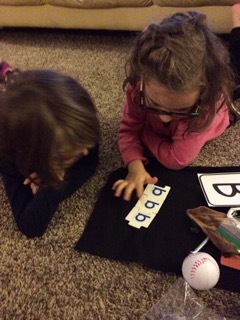 Well laid out LETTERS© lesson plans allow me to pick and choose how to present each step to the girls and gives them ample opportunity to experience language rather than just look at it. 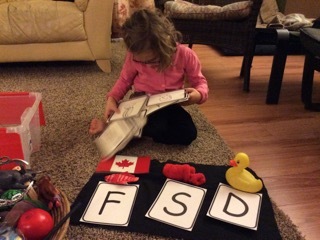 Thank you for all your extra time and effort making Hannah’s learning from left to right, to putting her words together, an exciting and personal thing. 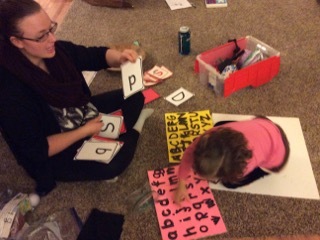 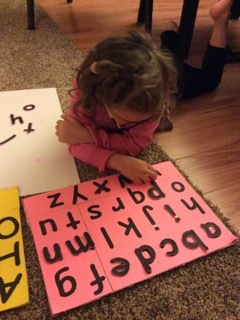 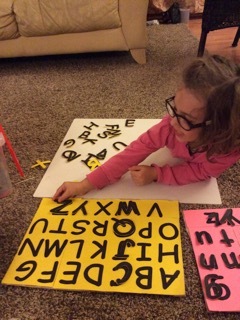 Our efforts for this family resulted in the design and development of prototypes for ​LETTERS© Uppercase and Lowercase Puzzle Boards, ​LETTERS© Dry-Erase Sheet Protector, and ​LETTERS© Dry-Erase Magnet Board and LETTERS© Magnetic Alphabet. 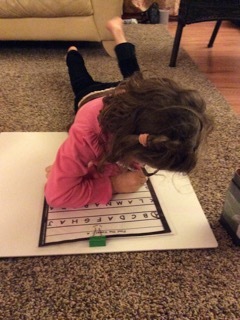 The LETTERS© Uppercase and Lowercase Puzzle Boards, LETTERS© Dry-Erase Magnet Board, LETTERS© Uppercase and Lowercase Magnetic Alphabet, and LETTERS© Dry-Erase Sheet Protector are available for purchase from the LETTERS© store.